Introduced as a very formidable villain for the Justice League International, in his first appearance he destroyed their Hall of Justice. This resulted in the server injury of Fire, Ice, Vixen while killing Rocket Red, Andre Briggs and Emerson Esposito. 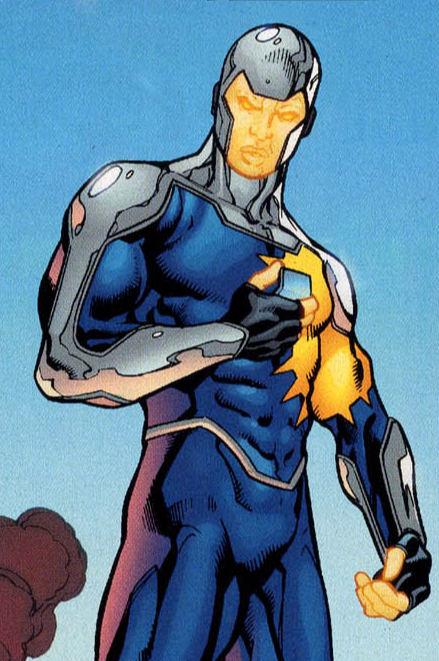 He then showed up at the hospital where he defeated both Booster Gold and Batwing, almost killing the latter. He is eventually killed while fighting the JLI causing his twin brother much grief. ← Mario Gully Headed Back to Jail? !